My Vacation Lady has been planning honeymoons for our clients for so many years that we’ve forgotten how many honeymoons we have planned. There is so much advise out there on how to plan your honeymoon that it can just get confusing. We’ve combed the internet for some of the best advise we can offer to you on planning your honeymoon and some of it may have already been mentioned- but, it’s always worth repeating. 1. What are the pros and cons of using a travel agent for your honeymoon planning? Well, the cons might be to use an unqualified travel agent or one who doesn’t specialize in honeymoons. You only get one chance at your honeymoon so you want to get it right. someone who doesn’t specialize in honeymoons may not know all of the best destinations or resorts to recommend. someone who doesn’t specialize in where you want to go— if you are looking at Hawaii, don’t call a cruise only travel agent, unless you want to take a cruise of the Hawaiian Islands. Again, they may not know what the best resorts in Hawaii may be for honeymooners. someone who just wants to book something fast and doesn’t listen to you. Travel agents in your area with the most positive reviews on the wedding websites like Wedding Wire and the Knot. A travel advisor who takes the time to get to know you– both of you, as a couple and really spends the time talking to you about your honeymoon dreams. A travel advisor who can make suggestions on which destinations fit your dreams and budget. 2. How early should you book your honeymoon? My Vacation Lady will recommend the EARLIER the BETTER. Nine months out is typically a good time to start. We will be able to tell you if pricing is available yet or when to expect it to be available. If you wait too long, you risk being closed out of early booking rates, the hotel or room category that you want or the flights that you prefer. 3. Should you take travel insurance? Yes, life can always throw curve balls at us and the last thing you want to risk is not having an insurance that will protect your honeymoon investment. This trip might be the most expensive you have ever taken so we always recommend travel insurance to our honeymooners. 4. Should you book activities in advance or just wait and book them when you get there? My Vacation Lady recommends a combination of both. If there is something you definitely want to do, like swimming with dolphins or ziplining, a helicopter tour or a sunset cruise– book it in advance to make sure you can get the time and date that you want. We typically recommend booking a couple of activities but not to over schedule your days. 5. How can you stretch your honeymoon budget? One of the best ways is to sign up for a honeymoon registry. By registering for honeymoon related gifts vs. pots and pans, you might be able to get to include some of the experiences you might not otherwise be able to include in your honeymoon. 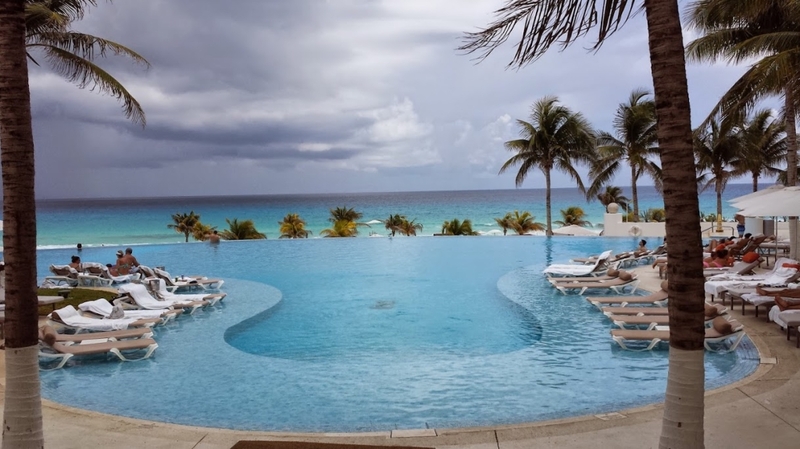 Another might be to opt for an all inclusive resort where your food and beverages and more are included. A cruise is also a good way to stretch your honeymoon budget (but don’t forget the extras that may not be included like tips, excursions or alcoholic beverages). Stay in a condo style hotel. These types of properties may have kitchens or kitchenettes so you can save money by preparing some meals and splurging on a great dinner or activity that you really want. Wait until after the wedding to book your dream honeymoon. You might have some gift money to use and you will have a better handle on your finances. My Vacation Lady is the top rated honeymoon specialist located in New Jersey according to the brides and grooms on Wedding Wire. We won’t be the first to tell you that your honeymoon should be special but we may be the best travel advisor to help make it special.